A career in the new home industry is rewarding and fulfilling. We believe we have created the right environment and opportunity for each of our team members to reach their fullest potential. At WestBay we offer career paths with growth potential by working with and alongside talented peers and colleagues. These industry leaders provide the guidance and training for a rewarding career. Bring your motivation to create the future of homebuilding in Tampa Bay. 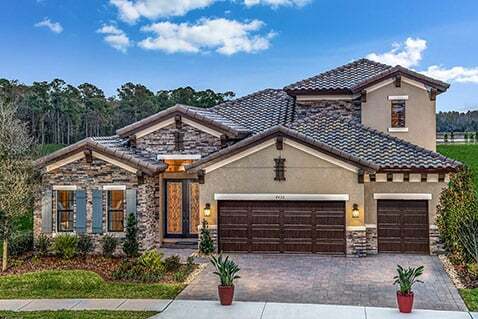 Homes by WestBay strives to deliver a better way of life to homebuyers in Tampa Bay through the best customer experience in the industry. We strive for exceptional quality and value in our price range, superior design and lead the market in customer satisfaction. We realize our team is a major factor behind our success and achievement of being a market leader. Working at WestBay is much more than simply building houses. Regardless of your role or department, you are each tangibly involved and pivotal to delivering your customer’s home. Read what some homeowners have said about the WestBay team. More so, you join a team that has naturally developed a culture of camaraderie, pride, ethics and sincerity. WestBay senior management encourages a strong work-life balance without compromise to supporting everyone to deliver on our mission. We are looking to recruit and reward those who are as excited about our mission and vision as we are. Learn more about us here: WestBay Difference. "Homes by WestBay has consistently challenged me, placing me in situations where I am able to maximize my potential. A graduate of University of South Florida, I joined WestBay right out of college, it was the right decision and I would encourage anyone to do the same. Working for a locally owned and operated company has been a blessing and I am excited to see what the future holds at WestBay." hard work is what Homes by WestBay is all about and going to "work" seems like a privilege." "In the Navy, I was shown the true importance of mentorship and how that influences everything you do in life. I have the same quality mentorship here at WestBay. Not only has this company given me the opportunity to be successful in construction management, they have opened the door for me to excel in this entire industry. I have benefited from the WestBay training program growing from assistant to manager in a very short period." I am a Florida State University graduate with a degree in Exercise Science, and after applying for several openings, I was unexpectedly given an opportunity to interview with Homes by WestBay. I knew that if this company was willing to take a chance on me, it was up to me to show them I was capable of anything.I started working for Homes by WestBay in October 2015, I was completely green with no experience in the field of construction. I was trained by very senior managers, following their lead and instruction so that I could follow in their footsteps. I was trained for 5 months before being transferred to a community to see how well I would do on my own, of course, with help from my mentors and area manager whenever it was needed. It is a different experience being in your own community, it was much more of a challenge but with a much greater reward. I can't explain the feeling of being the one in charge of building a home from the ground up, and having customers that are so grateful for your help in building their dream home. invested in me and has allowed me to grow and excel!" which makes it fun to come to work." volatile, but I have great confidence that we will be best positioned to challenge the future." An equal opportunity employer, Homes by WestBay is always looking to grow our team with motivated ambitious team members. If you’re looking to excel and be rewarded for your efforts then consider building a career with WestBay. Review the current openings below and apply now. We offer a competitive benefit package.